I was itching to have one last beach hurrah before I’m on baby lockdown and have a temporary travel ban imposed on me. 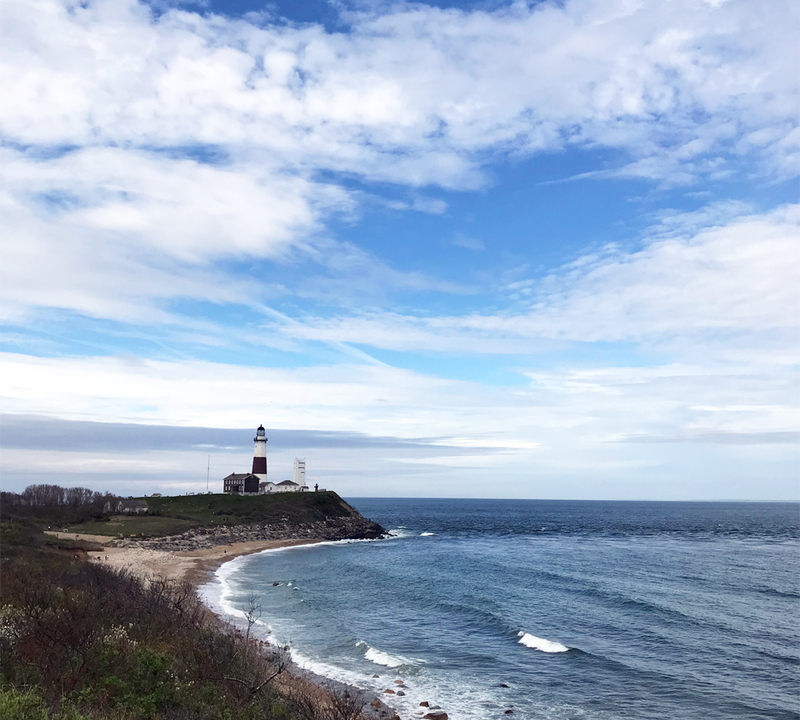 So after convincing hubby that I was unlikely to go into labor at 34-weeks (I looked up the statistic and I believe the likelihood statistically is at 5%) we decided to go to have a weekend getaway to Montauk a couple of weekends ago. On calendar the timing seemed perfect: it was the beginning of the season and rates were cheap, I was early enough in my pregnancy that I’m unlikely to deliver, and it happened to coincide with our wedding anniversary. Well as Murphy’s law would have it, what can go wrong will go wrong. The week was sunny and beautiful and the weather literally turned ugly the evening we got there. Who knew I needed to pack for sweaters and thicker jackets for a beach trip in May? Unwilling to have a little inclement weather ruin our weekend, we decide to make the best out of it. And hey, now I have a plethora of suggestion of things to do in Montauk besides the obvious of laying out by the pool and the beach. Read on to check out my full list. 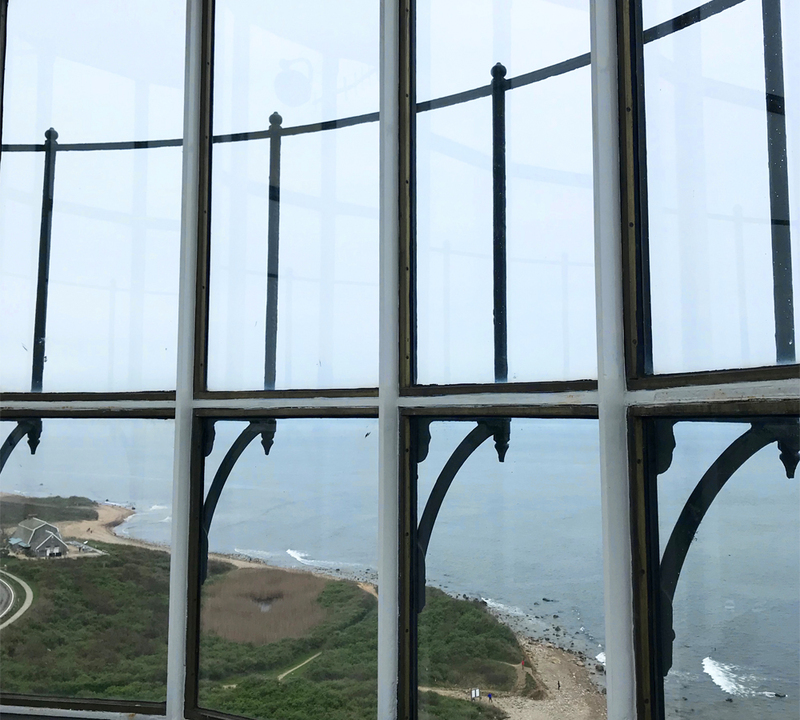 Montauk Light House: There is lots of views and history to be had here, so it’s definitely not a place you want to miss. Be sure to come early as they close at 4:30pm. Camp Hero Bluff: Located “next door” to the lighthouse, this spot offers romantic walks and stunning vistas of the lighthouse. Another reason for you to give yourself plenty of time is because this place also close at dusk. So maybe visit the lighthouse first, then check out this spot for a second photo opp? 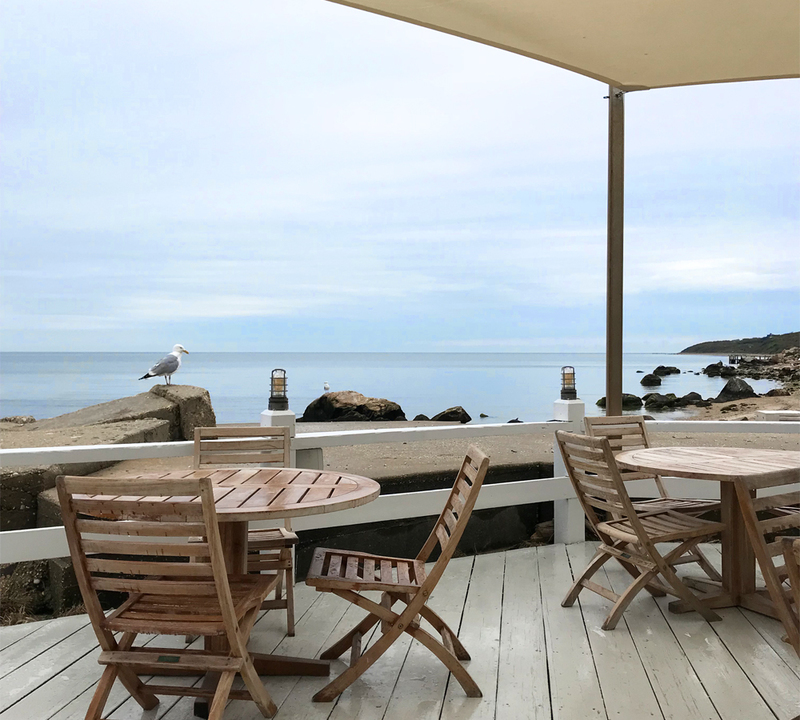 Block Island: Block Island is totally doable as a day trip from Montauk as there are daily ferries that go to and from. 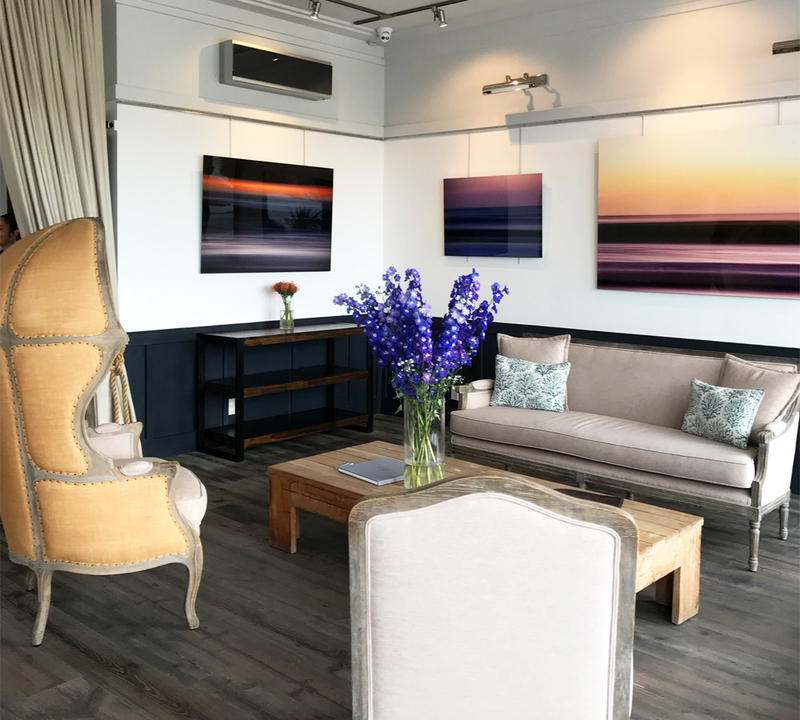 Might be a great addition of something to do if you’re in Montauk for longer than 3 days. I wish we had the foresight to do this but alas we didn’t plan well and woke up too late to catch the ferry out. It’s for sure something that’s on my to do list for the next trip to Montauk. 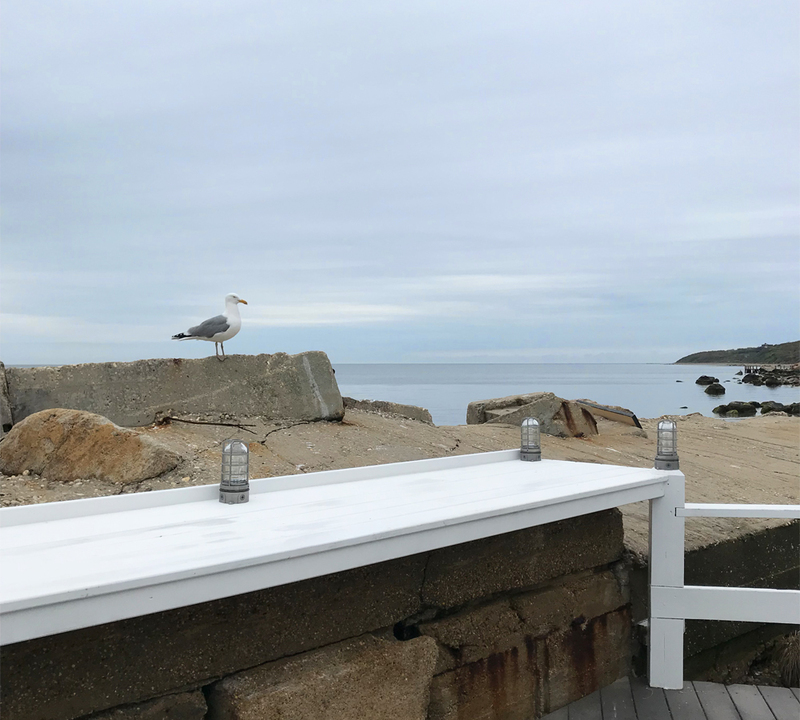 Duryea Lobster Deck: I was a bit skeptical about this place at first since they have less than four star rating on Yelp (I’m a bit of a Yelp addict). But it came highly recommended by a co-worker, so I decided to go anyway. I’m glad I did because it was such a cute restaurant with great views and clam chowder that hit the spot on a cold rainy day. I have to caveat that the restaurant is a bit pricey. Google has it listed as $$, but I think the food prices warrant more of a $$$ rating. Tauk at Trail’s End: Blame it on us waking up late and eating lunch late, but we always ended up eating dinner at 9 or later. This restaurant was one of the few places within walking distance of our hotel that opens late. Portions are HUGE! Hubby and I shared a plate of fish and chips and sauteed veggies, and we were plenty full afterwards. Oh and they also have live music on most days. 668 The Gig Shack: another great place that opens for dinner and drinks late. They also have live music which I believe features the same artist as Tauk at Trail’s End. Seems like he just takes turn between the two restaurants, which I did not mind because he was fabulous entertainment. Tillie’s: This restaurant is located within the upscale resort Gurney’s. I can’t speak to the food on a regular day since we happen to come during Mother’s Day brunch. The food was pricey but OH SO GOOD. I think at one point I asked the baby if she can move over a bit in my tummy so I can have more crab legs lol. 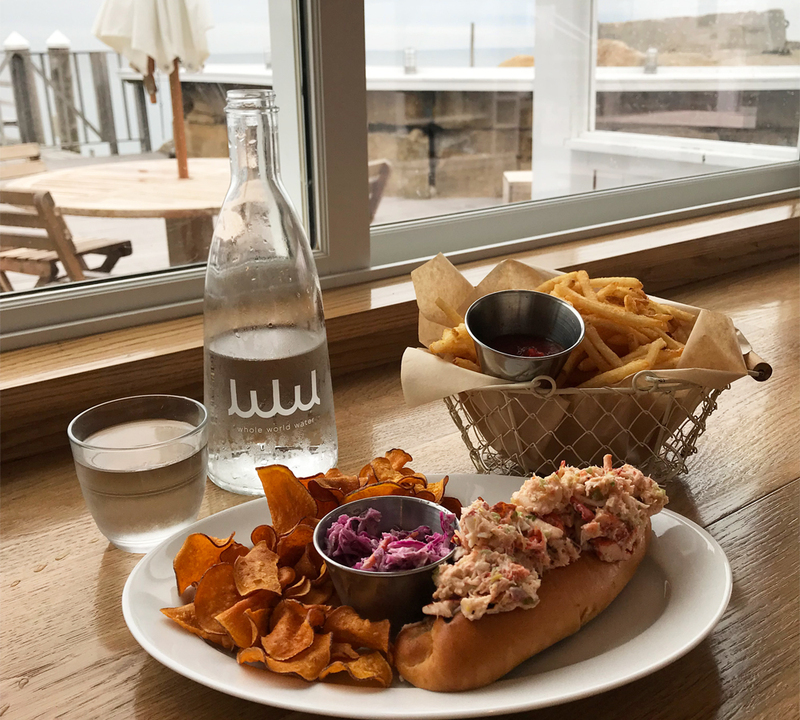 The Lobster Roll: We stopped by here on our drive in. A great no frills place that has all the seafood staples. Funnily enough we did not have a lobster roll. Hubs had fish and chips and I had soft shell crab sandwich — both we’re delicious. Fans of the Showtime show The Affair might recognize this place as a location of a pivotal scene in the first episode. As far as where you want to stay, I think it highly depends on a number of factor. 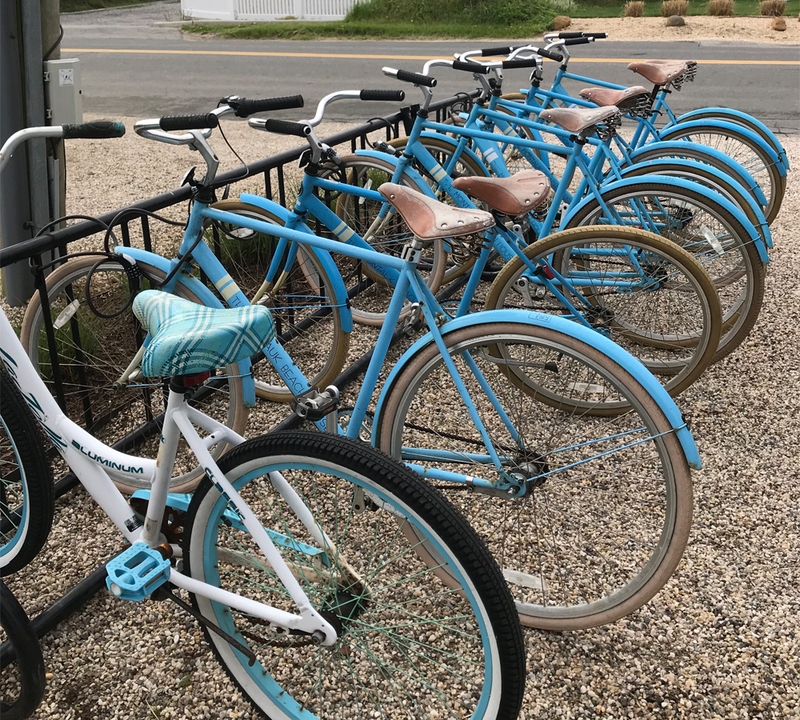 Montauk is littered with rental homes and hotels. I opted for hotel vs rental home since it was just going to be me and hubby. Also, even though I had a car, I wanted to stay at the city center so at I will have a good amount of food options that’s walking distance. 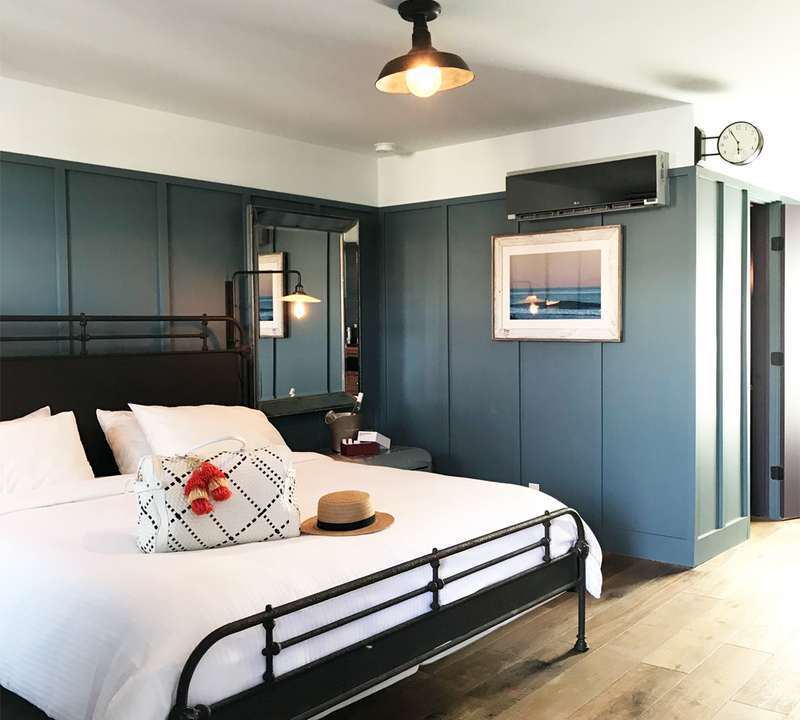 Staying in the city center also means you’ll be able to forego the car rental cost and get to Montauk with the train and Hampton Jitney instead (assuming you’re coming from the city. With all that consideration, I ended up picking The Montauk Beach House. They we’re one block from the beach and not to mention I found an amazing deal since I was going at the start of the season. 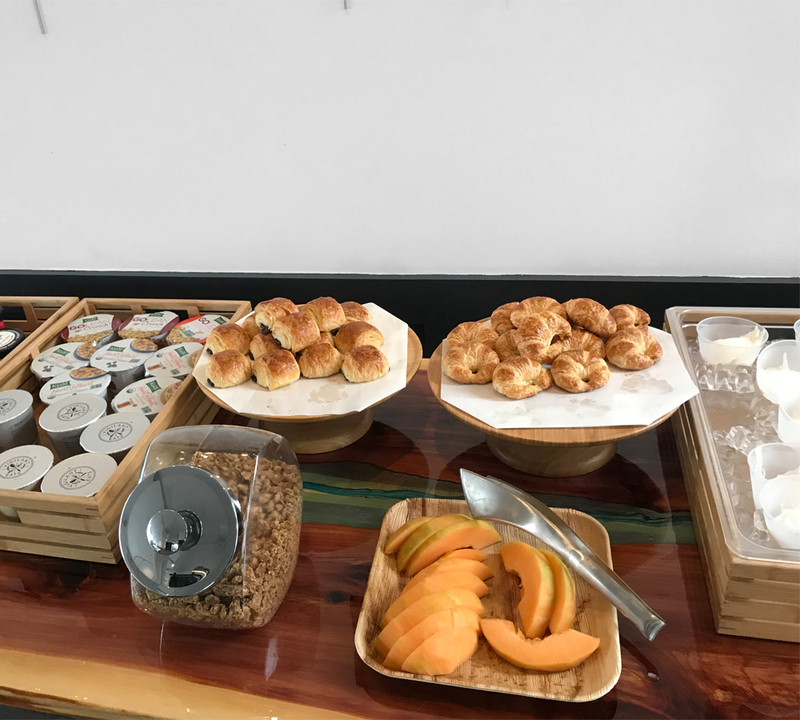 Bonus points: they have free continental breakfast, so that’s one cost I was able to shave off. Montauk food is not exactly cheap, so I’ll take any savings I can get. This looks beautiful and sounds so amazing! Need to bookmark this for future reference! 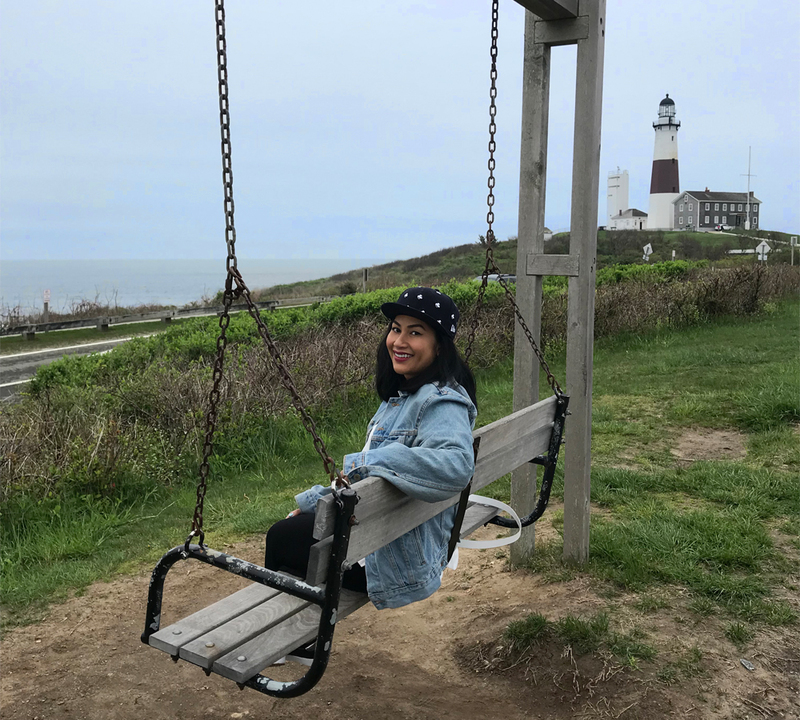 Montauk has wonderful views, doesn’t it? I love all of the eateries you picked! The bikes look so cute, and you look great in that swimsuit by the pool! Sounds like an amazing stay. I love the photo with the lighthouse in the back. So cool! What a fun place to visit!!! 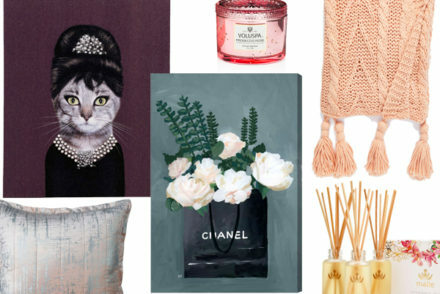 Love these recommandations!! 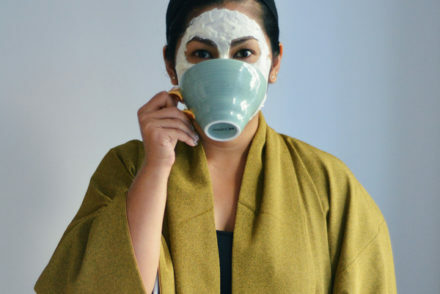 It sounds so fun for a weekend!! I’m not going to lie, I’ve always wanted to go to Montauk because I watched “Eternal Sunshine of a Spotless Mind” when I was younger haha. What a fun place to visit! this sounds so relaxing- i love the scenery so much! definitely adding to my travel list! Looks so fun!! Thanks for the recommendations! I have always wanted to visit Montauk! I have seriously always wanted to go, but have never been! You are making me think about booking a trip here! 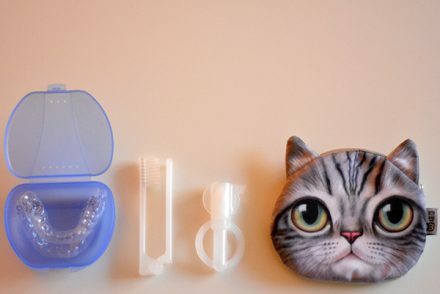 Love all these tips!